﻿ Fast payments are here! Fast payments have arrived at BDCU Alliance Bank. Thanks to PayID and Osko, you can send and receive funds in real-time, 24 hours a day, 7 days a week, while using just an email address or a mobile phone number. Please make sure that your contact details are up to date: log-in to Internet Banking and click on the My Preferences tab to change your details, or contact your nearest Advice Centre. Under this tab you can set up PayID. Please note some financial instiutions will only accept Osko payments into deposit accounts not loans, so if you are transferring to an external Financial Instituion into a loan account it's worth checking with them first. If you have Payroll Split set up we need you to contact us on 02 4860 4000. 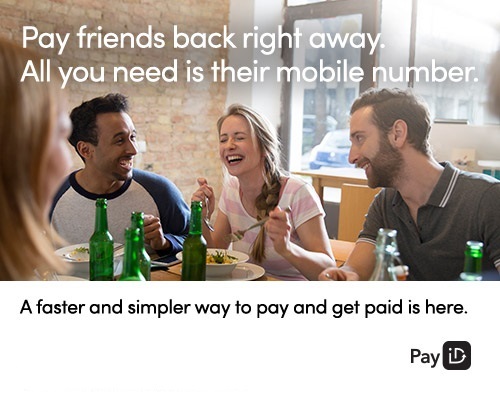 PayID is a simpler way to receive payments. It replaces the need to provide financial account details, such as BSB and account number, when receiving payments. 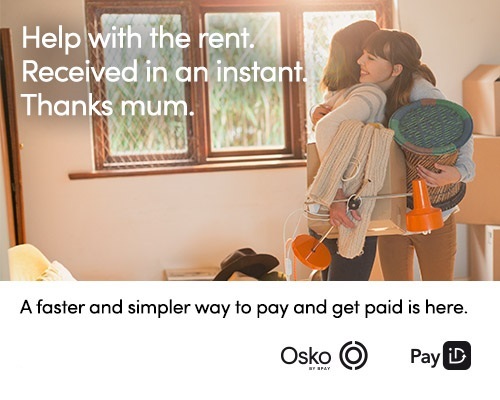 Once your PayID has been set up, you will be able to take advantage of the brand-new Osko service. You will be able to ‘Osko’ funds to each other via mobile or internet banking, in real-time, 24 hours a day, 7 days a week. You will also be able to send messages of 280 characters along with your Osko payment, including emojis! BDCU Alliance Bank members will be able to use a mobile phone number or an email address as their PayID. In addition, Business members will be able to use a Company Name or an ABN. PayID allows you to use something that you already remember, such as your email address or phone number. A PayID also means you don’t have to share your BSB and account number anymore, so you can keep them private. Also, if you’re worried about sending money to the wrong person, PayID will help with that too. When you make a payment to a PayID, the name of the person who owns it is shown to you before you approve the payment. You will be able to create and use a PayID when it launches in October. Who can create a PayID? A customer or business who can prove they have the authority to use both the PayID identifier and the account this is linked to. Validation checks will be performed by financial institutions to ensure the user creating the PayID is authorised to access and use the identifier and the financial account. If you want to use your email address or mobile phone number as a PayID, you can set this up on Internet Banking or by dropping into any of our Advice Centres. If you would like to use an ABN or Company Name, please drop into one of our Advice Centres, or give us a call on 02 4860 4000. Can I transfer my PayID to a BDCU Alliance Bank account from another financial institution? Yes. To move your PayID to BDCU Alliance Bank from another financial institution, contact us on 02 4860 4000 or visit one of our Advice Centres. You will need to de-register your Pay ID with the other institution and register your Pay ID with us. You can have different Pay IDs with different institutions. Please contact us on 02 4860 4000 or visit one of our Advice Centres. Only accounts that are eligible for PayID, and you have appropriate rights on the account, will appear when creating a PayID in Internet Banking. Ensure that the phone number or email address is correct and that you have access to that mobile phone or email address to retrieve the code. If you still don’t receive the code, contact us on 02 4860 4000 or visit one of our Advice Centres. No. PayID is something you can use if you want to simplify the payments process by not having to remember BSBs and Account Numbers. When paying to a PayID, you will be presented the PayID Name which represents the title of the account you are paying. You should ensure that the PayID name accurately represents your intended payee before continuing with the payment. Any queries about the PayID name you are paying should be directed to the payee. Anyone who is registered for Internet Banking with a security token and Pay Anyone limit. Anyone with an account with a financial institution that has signed up for the New Payments Platform. To check if your bank is part of the NPP, contact them directly. All financial institutions offering fast payments must meet strict requirements. This includes the capability to detect and respond to fraudulent activity in real-time. Osko uses world leading technology certified to the highest data security standards and monitored 24 hours a day, seven days a week. All payments made are also subject to our own real-time fraud screening and detection systems. Osko by BPAY is separate to BPAY and will not replace this service.